Formulated without sulfates, the Bio Conditioner for Coloured Hair Cattier to the lusciously creamy texture protects and nourishes your hair to better extend your color! 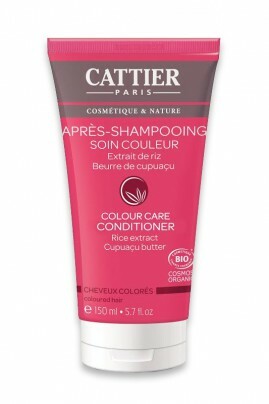 In addition Cattier Shampoo coloring, combined use of Bio Color Conditioner Cattier will strengthen the hair fiber for a color that lasts longer. With the extract of Rice Bio, your hair is shiny and color is brighter!